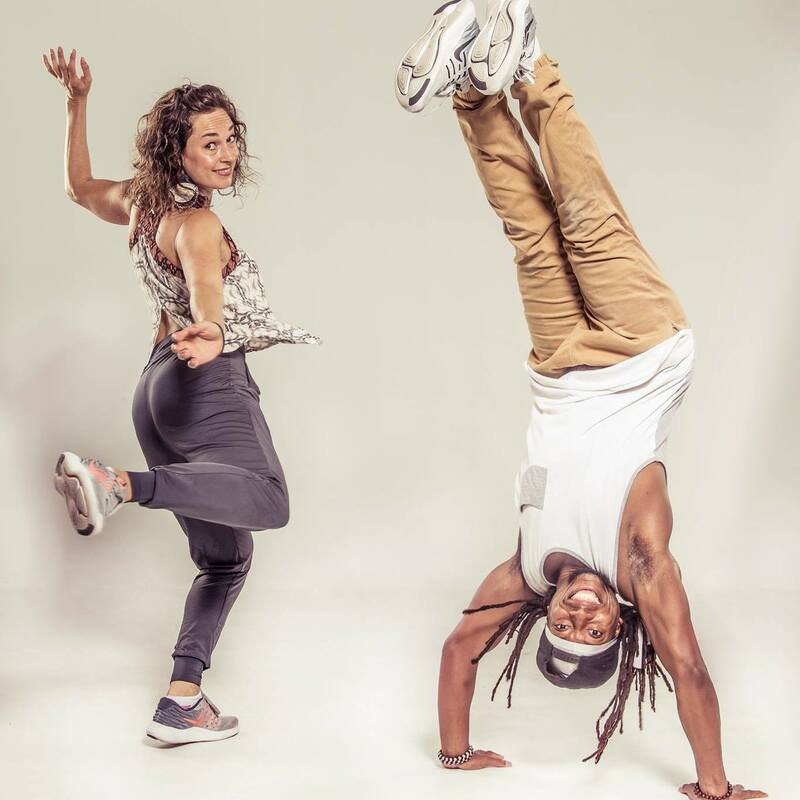 Dancing since the youthful age of 3yrs old, Daniel Haywood, known as BRAVEMONK in the Hip-Hop community, is an eclectic, passionate and energetic soul, whose dance was inspired by Gung-Fu (Martial Arts), his older siblings and various street dance styles. As an Artist, Performer, Choreographer and Educator BRAVEMONK has traveled throughout the U.S. and Internationally speaking, judging, hosting, dancing and teaching at many cultural Hip-Hop events. He has worked closely with the University of Hip-Hop, Temple of Hip-Hop, Urban Arts in Action Movement, Hip-Hop Congress, the Universal Zulu Nation and the U.S.A. States Department. Over the last 18+ yrs BRAVEMONK has dedicated his energy towards understanding the origins, developing concepts and mastering the foundations of Hip-Hop’s cultural dance form known as B-Boying/Breakin, while also focusing on Freestyle, House, Hip-Hop, Choreography, Movement, Music, Health & Fitness through BRAVE MOVEMENT™ & BRAVE MOVEMENT DANCE™. BRAVEMONK, viewed as a Cultural Ambassador and leader in the Hip-Hop community, is a member of Chicago’s legendary and internationally recognized breaking crew, Phaze II – Crosstown Crew (Est. 1982), as well as a founding member and leader of Awesome Style Konnection (A.S.K. ), a Chicago-based all-elements crew, and F.E.W. Collective which joined artist activists from across the City to create social change through the arts in Chicago and overseas. Most recently BRAVEMONK is a member and mentor of brother crew and All style + Artist collective ALKEMY. BRAVEMONK is also a founding contributor & the Co-Host of Power Style Radio an Internet Radio Show & AM Station for Bboys/Bgirls, Urban Dance & Hip-Hop Culture, and an Advisory Board member of the Chicago Dance History Project (CDHP) a Non-Profit that seeks to investigate, preserve & present oral and corporeal histories of theatrical dance in Chicago and its vicinity. Kelsa “K-Soul” Robinson is a dance artist and educator with deep experience and training in the underground house, Hip-Hop and street dance communities. Kelsa is a member of Venus Fly, an internationally known all-styles crew. She has performed and served as a guest artist at venues including: B.Supreme (London, UK), B-girl Be (Minneapolis, MN) J.U.I.C.E. Hip-Hop Dance Festival (Hollywood, CA), and Pritzker Pavilion (Chicago, IL). Kelsa is a lecturer at The Dance Center at Columbia College Chicago where she teaches technique, pedagogy, dance studies and community cultural development courses. Kelsa dedicated much of her career to working at the intersection of activism, community building and the arts. Since Spring 2013, she has been co-curator of The B-SERIES, a biannual festival celebrating hip hop culture and bringing the grassroots hip hop and street dance communities into verbal and embodied dialogue with students, faculty and staff. From 2005-2011, Kelsa developed and managed Culture Builds Community, an initiative that won Cityfolk the Governor’s Award for the Arts in Ohio (2009) in Community Development & Participation. As a consultant for the Center for Arts Policy at Columbia College Chicago, Kelsa Developed the evaluation project for LISC/Chicago’s 3-year pilot program, Building Community Through the Arts (BCA), for the New Communities Program, Quality of Life neighborhood planning process. Kelsa holds a bachelor degree in sociology from the University of Illinois at Urbana-Champaign and a master of urban planning and policy from the University of Illinois at Chicago. © 2018 BraveSoul. All Rights Reserved.